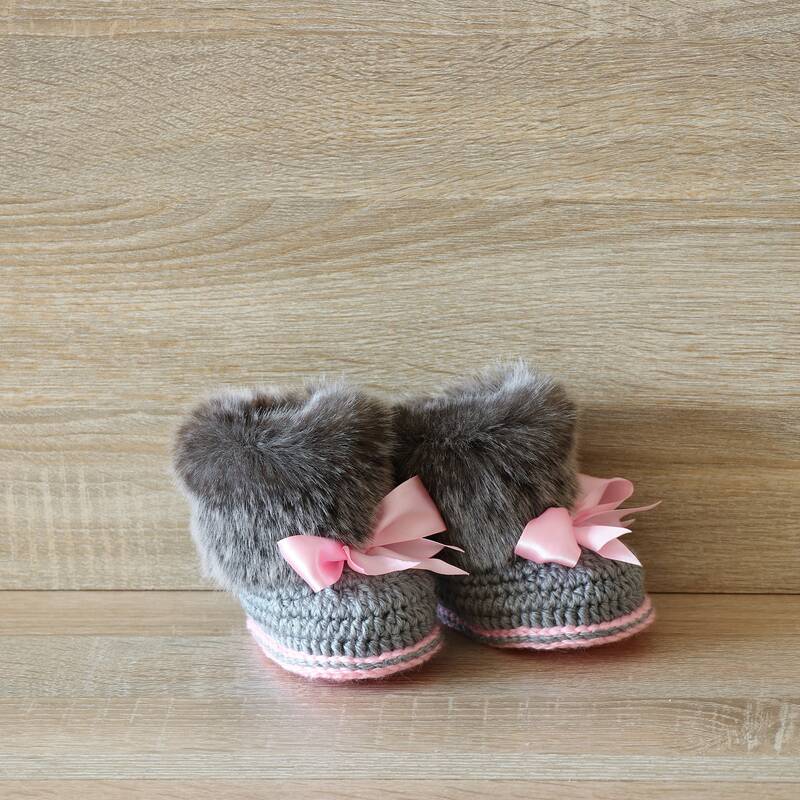 These crochet baby girl faux fur booties are handmade and are a must-have in every little girl wardrobe! 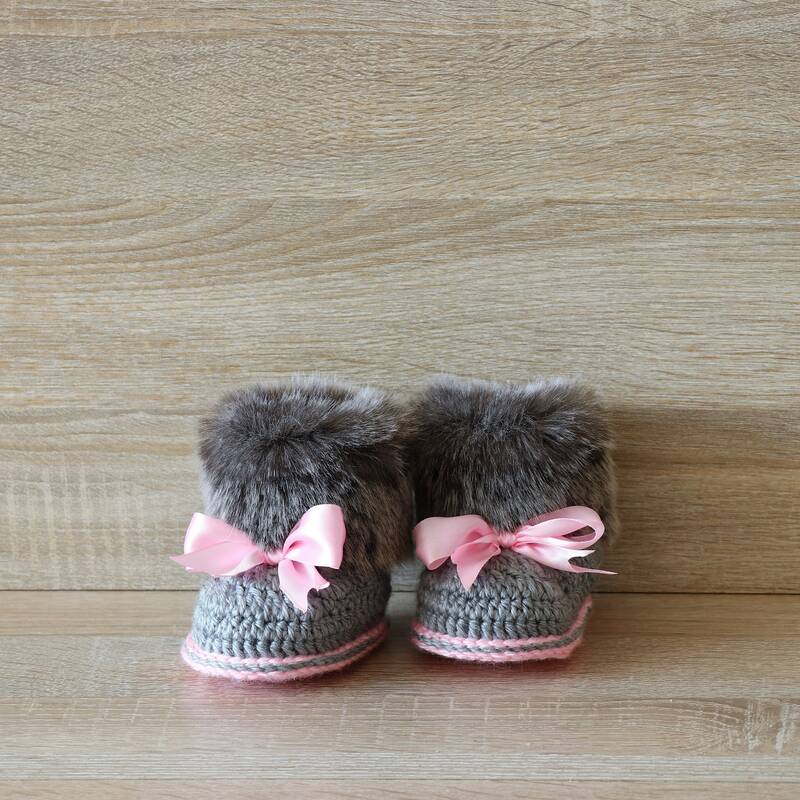 Booties are double soled for a more cushioned sturdy shoe and nice fit. 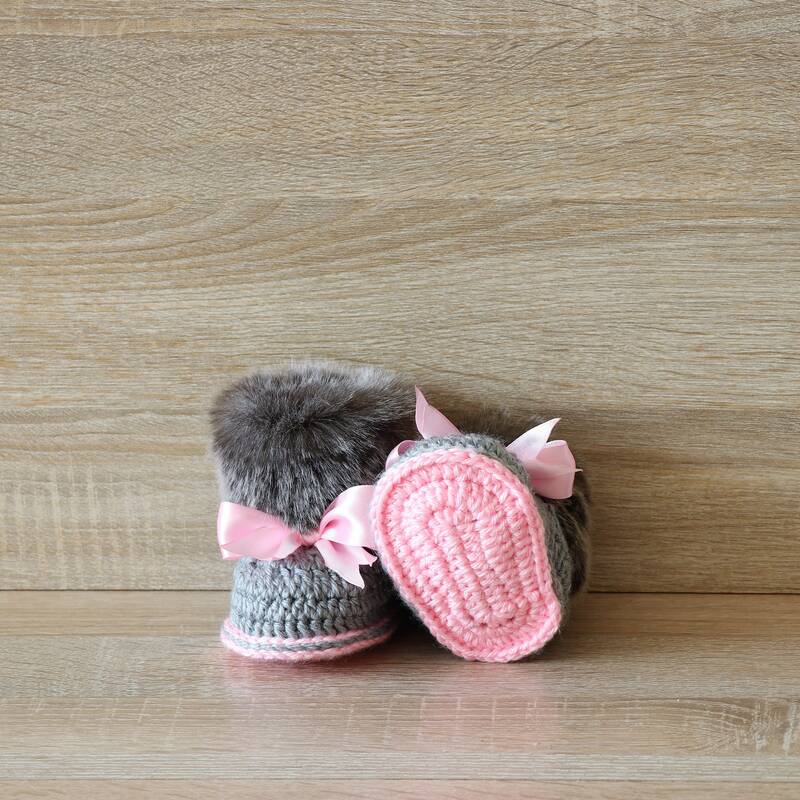 Insole crochet with grey yarn, a foot with pink yarn.